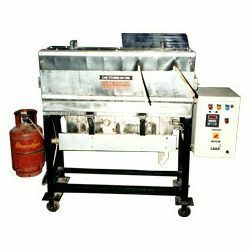 Cane straightening machines offered by us are used to straighten canes. Good quality straightened canes that are durable and flexible are obtained from our cane straightening machine. The straightened canes are further processed and are used in manufacturing of furniture, handicrafts etc. Our machines are high performing and they remove distortions or bends from natural cane, while maintaining its straightness to +/-5mm level. The machine works with effective use of accurate pressure and heat combined together for stretching the cane. Operating Range: 15mm to 35mm Dia. 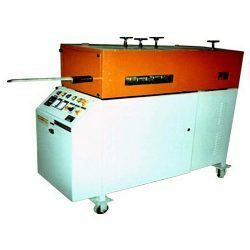 We are a known name offering cane polishing machine. Once the cane is turned in the turning machine, it passes through the polishing process. Turned canes pass through an abrasive belt in this machine and a fine and smooth surface finishing is obtained. 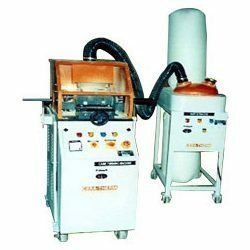 The polishing machines are developed in compliance with international standard and are known for their user friendly and energy efficient features. Broaching removes all the knots present on the canes post straightening. 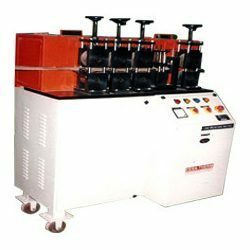 We offer superior quality Cane Broaching Machine, which efficiently removes the excess knots & materials from the canes body to obtain uniform & smoother diameter. 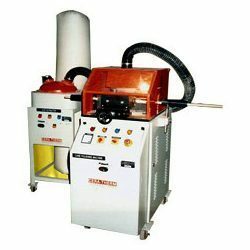 The machine is designed, manufactured and tested for quality as per the prevailing industry standard. We design, manufacture, supply and export precision engineered cane turning machine in standards as well as in custom ordered makes. The cane turning machine removes any the excess material if left from the broached cane and offers a more uniform diameter to the cane. The machines can eliminate the extra material from 0.5mm to 1mm per pass. The auto feed mechanism of the machine is used for the operation of the machine and facilitates time & labor saving . Turning range: 15mm to 40 mm dia. Developed with multi firing system, the steaming machine can be fired with gas, electricity, or kerosene. Primarily used to steam the polished cane, the steaming process adds necessary properties like moisture, flexibility etc., to the cane making it easy for manufacturing cane furniture. The steamed canes can be bent to the desired shapes, easily without scars and dents. Looking for Rattan Cane Processing Machines ?